Ranbir Kapoor, the star of the movie Sanju, has recently been in the limelight for his exceptional acting skills and for playing Sanjay Dutt to perfection in Sanju. 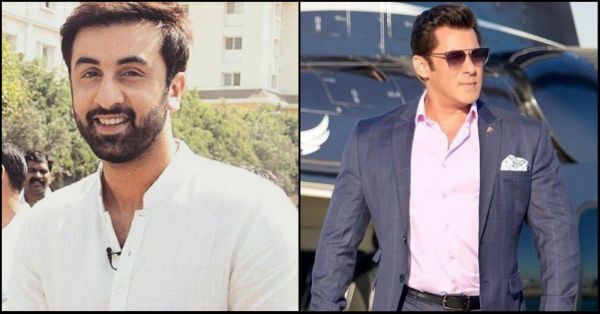 The only person finding fault was Salman Khan, who did not seem satisfied with Ranbir Dutt's character and said that no one could have done a better job than Baba himself. Ranbir hit back in his recent interaction with an online news website and responded to the comment, "It has never happened that a person played himself in his own biopic. This destroys the effect of a character. I knew that I will be compared to Sanjay Dutt and that is why I have tried my best to do justice to his role." He further added, "Whether people see me in 40-year old Sanjay Dutt's avatar or 20-year old, they should feel that they are watching an artist who is playing Sanjay Dutt. It is correct that I cannot become a second Sanjay Dutt." The Rajkumar Hirani film hits the theatres on June 29. Starring Sonam Kapoor, Anushka Sharma, Dia Mirza, Manisha Koirala and Paresh Rawal.